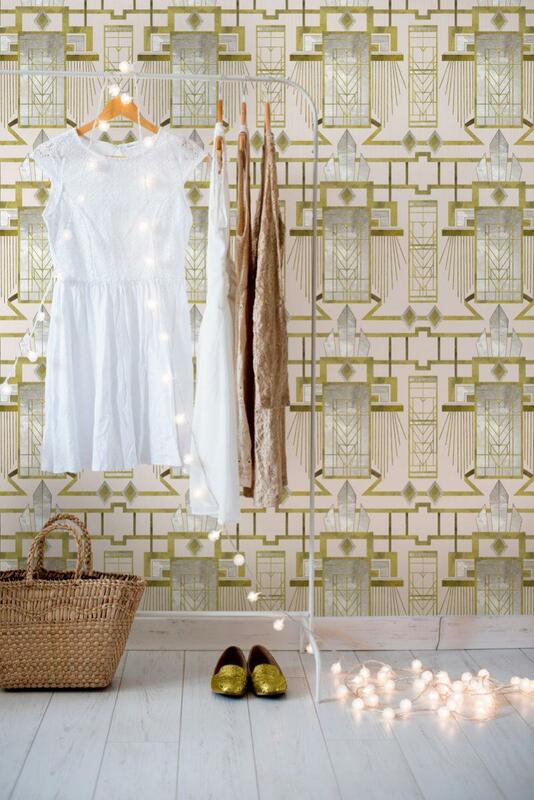 A classic Art Deco style wallpaper with an added touch of glamour. 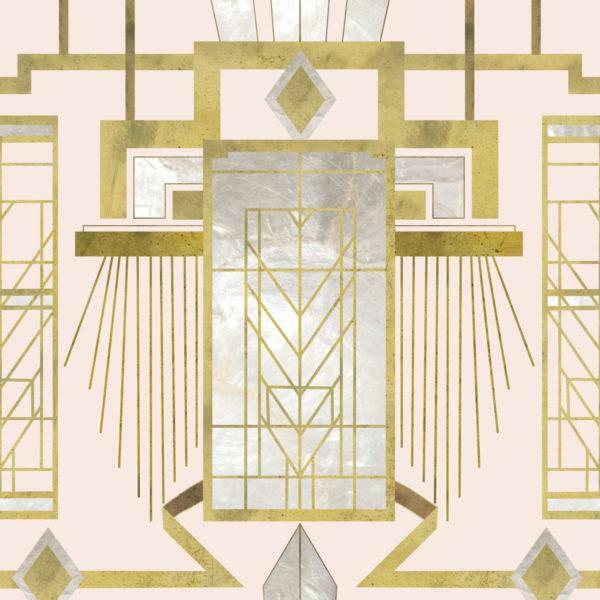 A classic Art Deco style wallpaper. Probably the most glamorous design style ever, the Art Deco period inspired our designers to create a couture wallpaper collection. Using bold geometric shapes with elegant brass and copper accents, our Art Deco approach shows contemporary patterns with a luxury touch. an eclectic way of mixing the old with the new, by using metallic textures and dark shades.